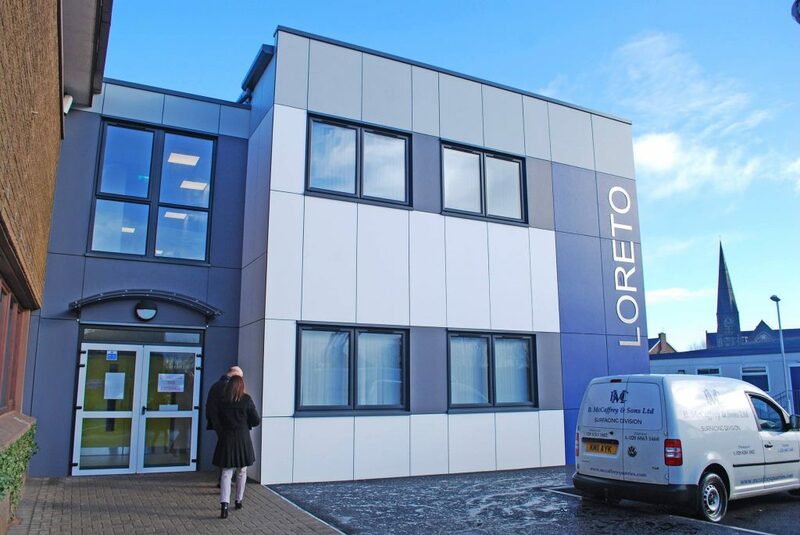 Western Building Systems completed the design, construction and installation of a modular extension for Loreto Grammar School in Omagh, Co. Tyrone. 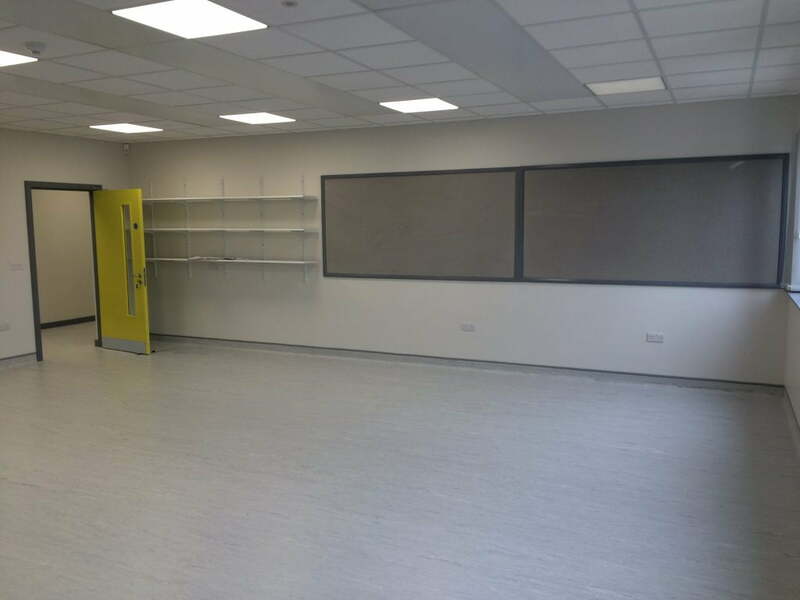 This £1.6million project saw the secondary school, which caters for 11-18 year olds, add 10 extra classrooms to their educational facilities. 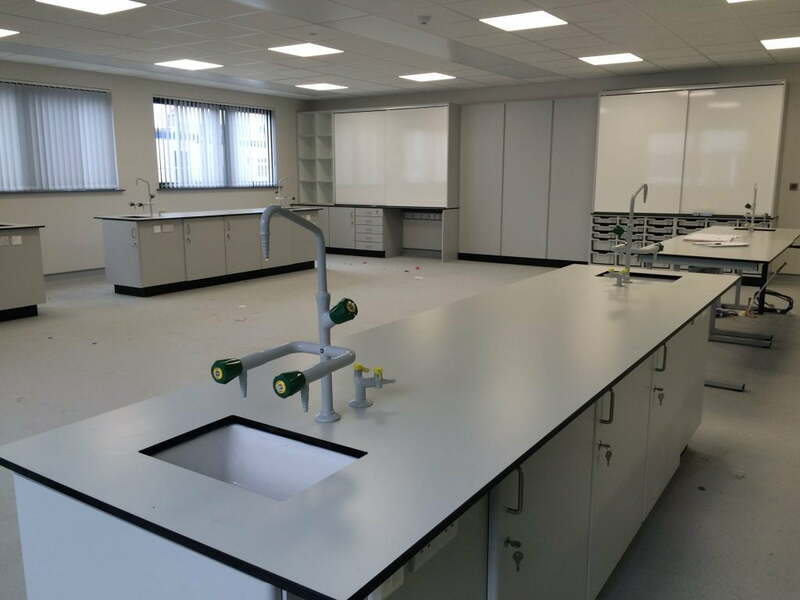 Among the 10 extra classrooms are 4 purpose build state of the art, science labs fully fitted out by Western. 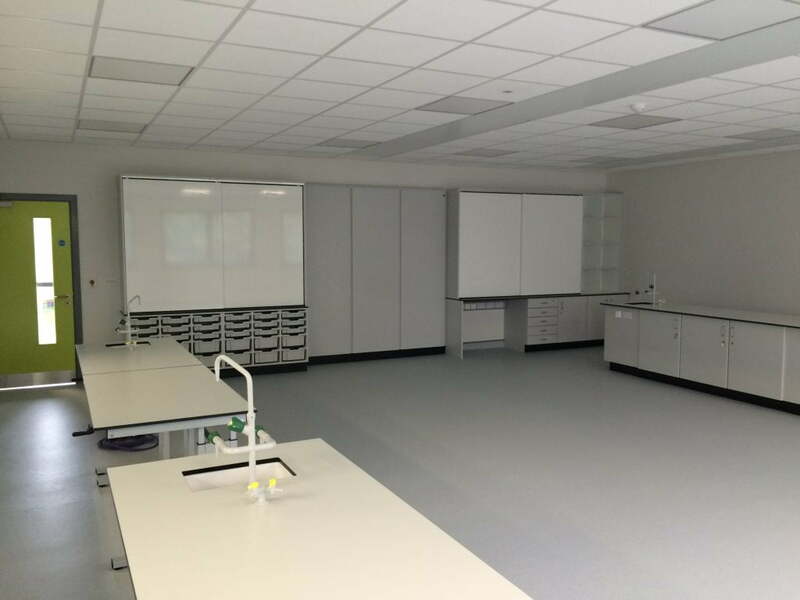 Western also provided fitted WC facilties and a number of stores to allow for safe storage of materials in science classrooms. The project saw the extension linked to the existing school and the removal of dated modular classrooms from the site. This two storey extension at Loreto Grammar School in Omagh, was carried out using a steel-frame modular construction technique. 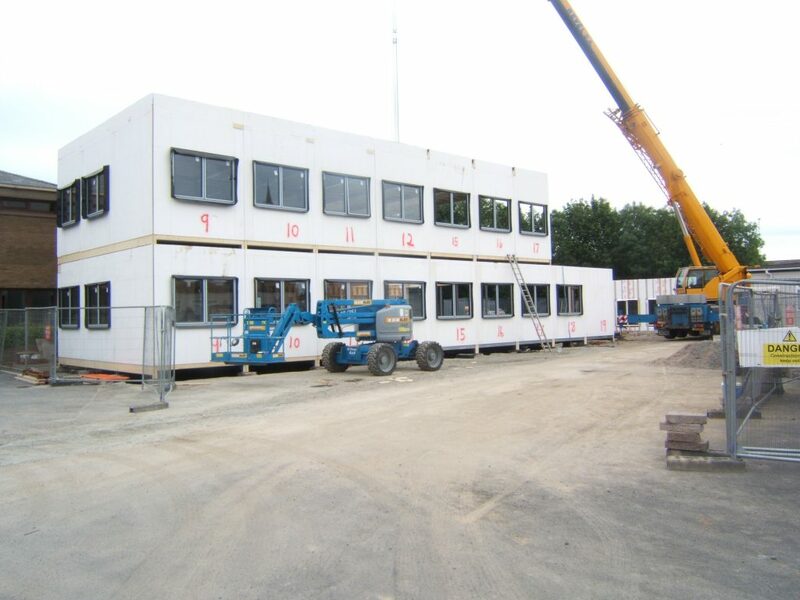 30 Modular units were manufactured at Western’s Mountjoy Road plant before transportation to the school grounds for installation on-site. Significant siteworks were carried out at the site including the removal of existing modular accommodation.